Semi permanent make up (Tattooed make up) has been around for quite some time now. However if like me you have seen your fair share of dodgy looking facial slugs when Googling images of semi permanent brows? Then it’s fair to say the reality of how they turned out wasn’t quite what your imagination had in mind! I am one of those women who doesn’t feel she could possibly attend anything other than the gym with out a full brow in place. So with that in mind getting my “brows done” is something that has been on my hit list for many years. I’ve been literally dreaming about ﻿the amount of time I would save by waking up in the morning with my brows already done! However being that I’m an over the top perfectionist, finding an equally over the top perfectionist like myself was the challenge I had ahead! Fast forward 5 years… I recently bumped into two friends; on separate occasions I might add that had FANTASTIC looking brows. I’m talking shape on point, extra special arch, even colour, no sparse sections and groomed to perfection. So obviously I had to comment “Wow your brows look amazing babe”. 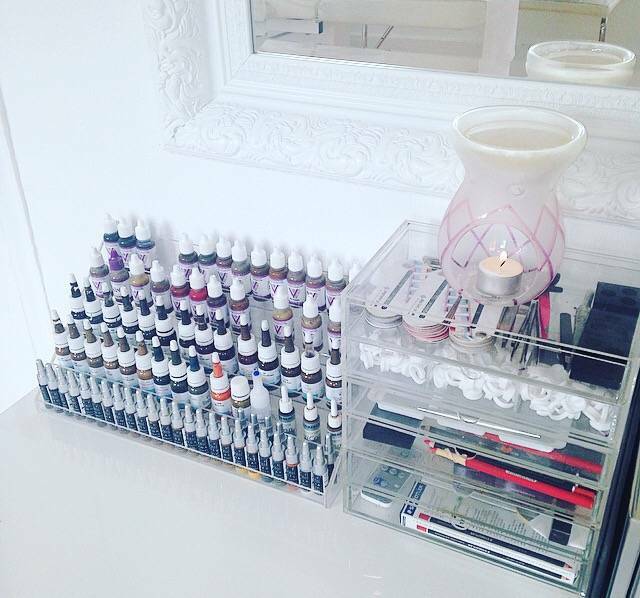 Both women credited there brows not only to semi permanent make up… but also to the very same practitioner – Sian Dellar! That was it ! Hey presto I’d found her… too capture my attention not once but twice I wanted a piece of the Sian Dellar pie! Making an appointment is easy she has an online booking system and a fabulous receptionist Jaya who is friendly and informative. She is based on the famous Harley Street in London so the perfect location just a 5 minute walk from Oxford Circus station. 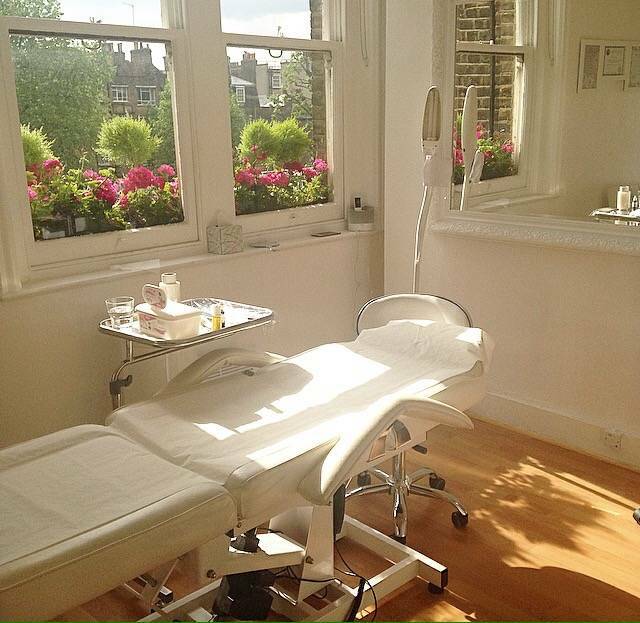 The clinic its self was lovely, it was decorated white and spotlessly clean and Sian was so welcoming and friendly. Sian took her time in discussing the shape I wanted and she even asked me to show her images of how I would usually apply my eyebrow make up. She then went on to design my brows using a brow pencil and a measuring tool, tweeking the shape upon my minor adjustments. 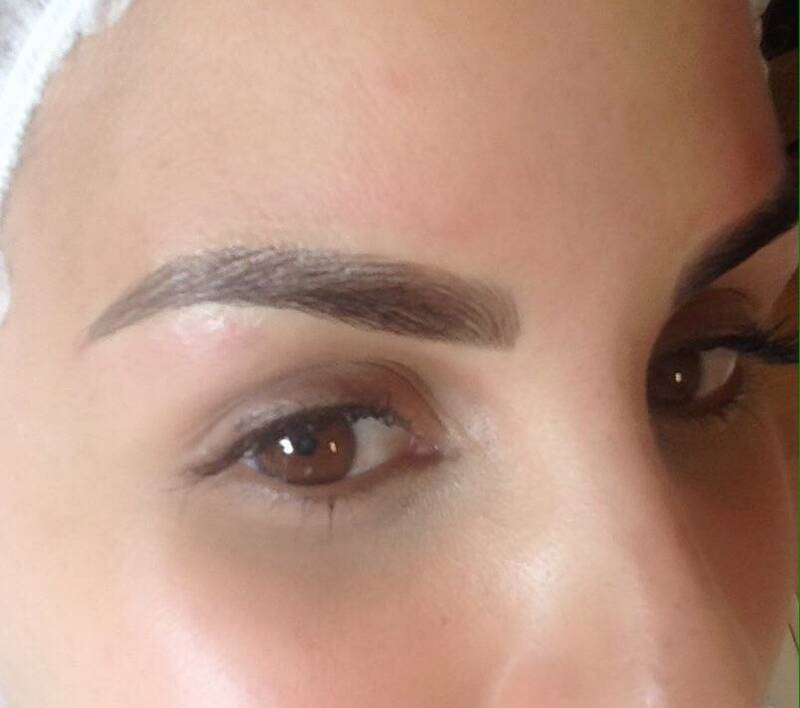 Sian made clear she would adjust as many times as I wanted as she wanted me to “Love my brows not Like my brows”. I loved the fact that she was clearly so keen for me to be happy and for my brows to be perfect. The procedure itself took around 1 hour. The first thing Sian does is put on a gentle numbing lotion on the area to take the edge off the discomfort when she does the outline. 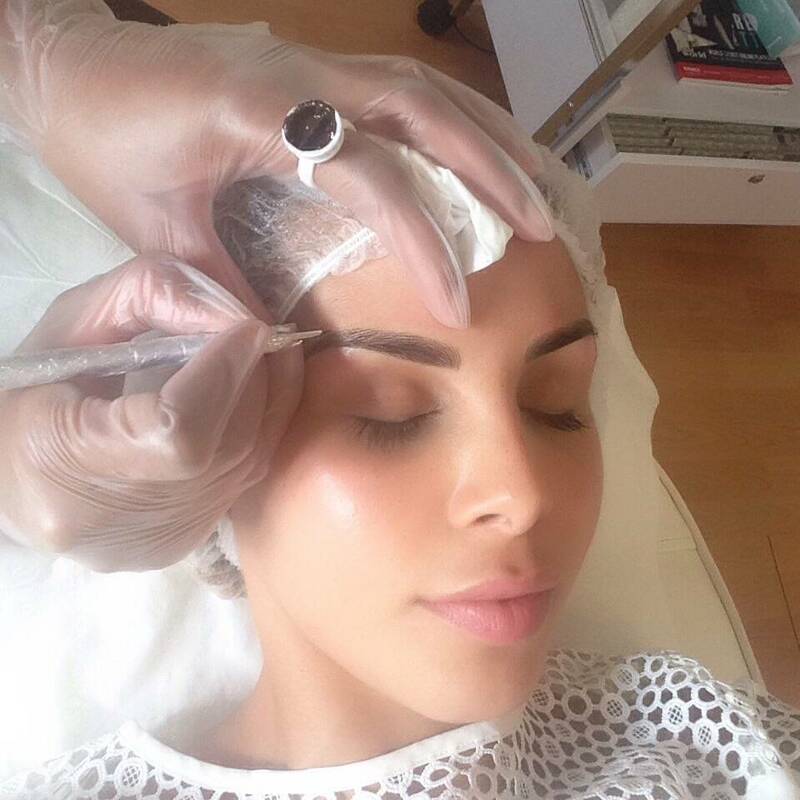 Once the shape is in place she then she begins to apply all of the individual hair strokes using the micro blade tool and MicroBlading technique. This does feel quite scratchy and sharp at times but the additional numbing cream she applied did work wonders. I have to admit I was so nervous before getting this treatment. I would tell anyone considering getting semi permanent make up of any kind to remember if you have your procedure with someone good at there job then the results can be absolutely incredible, so pick wisely. I am absolutely blown away by the precision of Sian’s treatments and her professional manner, I also don’t think my eyebrows have ever looked so good. 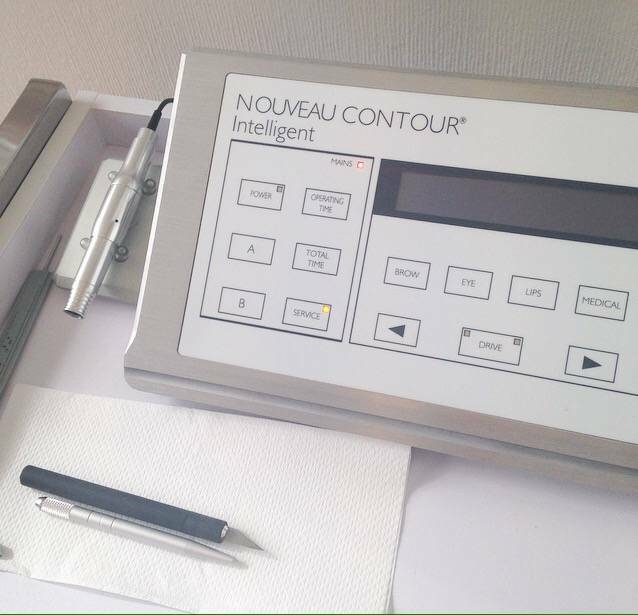 Sian also gives you a follow up treatment to fill in any areas that flake away reducing the pigment during the healing process. So this is most definitely a two step treatment. I am so excited to wake up every morning with my eyebrows already done, I am off to Mykonos on holiday in three weeks and these new brows are most definitely the best beach accessory I’ve ever taken away with me! Permanently perfect eyebrows.